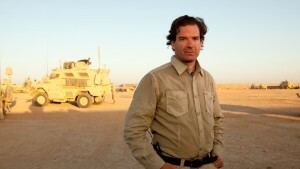 Peter Bergen is CNN’s national security analyst, a vice president at New America and professor of practice at Arizona State University. He is the author of “Manhunt: The Ten-Year Search for bin Laden – from 9/11 to Abbottabad.” This is an updated version of an article that orginally appeared last month. (CNN) Watching the tragedies unfold in Copenhagen on Saturday and in Paris at the Charlie Hebdo magazine last month in which terrorists attacked cartoonists and journalists deemed to have insulted the Prophet Mohammed, Americans might take some comfort in the idea that this is the sort of attack that wouldn’t likely involve a U.S. citizen or happen in the U.S. Think again. Pennsylvania resident Colleen LaRose, a 46-year-old high school dropout who called herself “Jihad Jane” when she was surfing jihadi websites, pleaded guilty in 2011 to being part of a plot to kill Lars Vilks, the same Swedish cartoonist whose support group was targeted in Copenhagen on Saturday. LaRose traveled to Europe and also followed Vilks online “in an effort to complete her task,” according to federal prosecutors. In 2007, Vilks had drawn a cartoon of Mohammed with the body of a dog. According to the indictment against her, LaRose emailed the Swedish embassy in Washington asking for instructions about how to become a permanent resident of Sweden. Ramirez traveled to Ireland in September 2009 with “the intent to live and train with the jihadists,” according to prosecutors. Ramirez pled guilty in 2011 on charges of conspiring to provide material support to a terrorist organization and was sentenced to eight years in prison. LaRose was sentenced last year to 10 years in prison. Over the past four years three American citizens have been convicted in plots to murder Scandinavian cartoonists and journalists who they believed had insulted Islam. And two other Americans have also been convicted of inciting violent attacks against cartoonists in the States who they felt had insulted the Prophet Mohammed. Chicagoan David Headley, who played a critical planning role in the attacks in Mumbai, India, in late November 2008 by the Pakistani terrorist group Lashkar-e-Taiba that killed 166 people, also hatched a plan to attack the leading Danish newspaper Jyllands-Posten, which had published cartoons in 2005 of the Prophet Mohammed that were deemed to be offensive by many Muslims. In January 2009, Headley traveled to Copenhagen, Denmark, where he reconnoitered the Jyllands-Posten newspaper on the pretext that he ran an immigration business that was looking to place some advertising in the paper. Headley hatched a plan to take over the Jyllands-Posten building with multiple attackers using similar tactics to those that Lashkar’s gunmen had used in Mumbai. The plan involved beheading employees working at the newspaper and throwing their heads out the windows of the building, in an act guaranteed to get worldwide media coverage. While he was in Denmark, Headley picked up some hats with the word “Copenhagen” emblazoned on them, a grimly ironic souvenir that he gave to some of his Lashkar handlers when he was back in Pakistan. But Lashkar officials suddenly put the Copenhagen attack on hold because of the pressure the group was feeling as a result of the Mumbai attacks, which had caused more carnage than even they had anticipated and was causing them to worry that a major crackdown on the group might happen. Resolved to defend the honor of the prophet from what he believed were the blasphemous Danish cartoons, Headley was determined to go ahead with the Copenhagen operation and so he made contact with Ilyas Kashmiri, who ran his own jihadist group in Pakistan and also had close ties to al Qaeda. The cartoons of the prophet had become a particular obsession of al Qaeda. In March 2008, Osama bin Ladendenounced the publication of the cartoons as a “catastrophe” for which punishment would soon be meted out. Three months later, an al Qaeda suicide attacker bombed the Danish embassy in Islamabad, killing six. For al Qaeda, the Danish cartoon controversy assumed some of the same importance that Salman Rushdie’s fictional writings about the prophet had had for the Ayatollah Khomeini’s Iran two decades earlier. Kashmiri suggested deploying a truck bomb to destroy the Jyllands-Posten building. Headley said that wouldn’t work because the building was designed in such a manner that a truck bomb wouldn’t be particularly effective; far more likely to succeed was a Mumbai-style assault on the building with multiple gunmen. This plan is similar to what unfolded at the Paris office of Charlie Hebdo last month. Kashmiri told Headley that he had men in his group who were living in the United Kingdom who might be interested in taking part in such an operation. Headley traveled to meet them in the city of Derby in northern England and talked to two of the men Kashmiri had said would be good recruits. These men were being monitored by British intelligence, which tipped off the FBI in July 2009 after someone named “David” had called them from a Chicago pay phone. Headley was arrested at Chicago’s O’Hare Airport on October 3, 2009. Headley soon told investigators that he was planning to kill the Jyllands-Posten’s cultural editor, Flemming Rose, who had first commissioned the Danish cartoons, as well as the cartoonist, Kurt Westergaard, who had drawn the cartoon he found most offensive: the Prophet Mohammed with a bomb concealed in his turban. He later pleaded guilty to the conspiracy and was sentenced to 35 years in prison. Also, American Muslims have incited fellow Muslims to kill cartoonists in the United States who they believed had insulted the Prophet Mohammed. On the occasion of the 200th episode of the Comedy Central show “South Park,” Trey Parker and Matt Stone, the creators of the show, decided to have some fun with the notion that Islamist militants had deemed that depictions of the Prophet Mohammed should be met with violence. Van Gogh, a Dutch filmmaker, was killed by an Islamist militant in Amsterdam in 2004 after he made a provocative film that showed naked women with verses of the Quran projected onto them. Chesser posted a photograph showing van Gogh lying dead in the street in Amsterdam with two knives stuck into his body. Given the fact that the readers of Chesser’s blog were mostly a group of Islamist militants who might actually act against someone they believed had defamed the prophet, this was a serious threat. To underline the threat, Chesser posted photos of Parker and Stone along with photographs of others who had been publicly targeted for death for purportedly insulting the prophet, including British author Rushdie and Danish cartoonist Westergaard. In the next episode of “South Park,” Parker and Stone continued the story line about the Prophet Mohammed, but his character was hidden under a “CENSORED” graphic and an audio bleep was heard when his name was said. Comedy Central then made further changes to the show, placing numerous additional bleeps throughout the episode. Comedy Central was now bending over backward not to give any offense; an unusual position for a channel whose stock in trade was the giving of offense. As far as Chesser was concerned, his campaign against “South Park” “worked phenomenally,” because Comedy Central chose to censor this episode. In response, Norris urged that the public treat May 20, 2010, as “Everyone Draw Muhammad Day.” To launch the effort she drew a poster featuring the prophet variously as a teacup, a box of pasta and a domino. Norris’ notion was that if a lot of Americans drew the prophet on that day it would help dilute the pool of potential targets for enraged Islamist militants. Norris’ initiative succeeded beyond any expectation. The poster drawn by Norris went viral and Facebook groups sprang up with tens of thousands of members supporting Everyone Draw Muhammad Day. Much of the “South Park” episode had played out as some kind of farce, but there was also real tragedy for Norris. Al Qaeda in the Arabian Peninsula’s Inspire magazine drew up a “hit list” of al Qaeda’s enemies that included Norris for her role in instigating Everybody Draw Muhammad Day. Chesser was sentenced to 25 years in prison. His co-conspirator, Jesse Morton, was sentenced to more than 11 years in prison for conspiring to solicit murder. The killers in Paris and Copenhagen reversed this key formula of the modern world: I disapprove of what you say and I will kill you for it. No one has heard anything from the Seattle-based cartoonist Molly Norris since she went into hiding more than four years ago. For Norris that must have been a very difficult decision, but the attacks in Copenhagen and in Paris reinforce the notion that it was likely a sensible choice.